When adventuring into a medieval kingdom, it is often necessary to carry a concealed weapon. 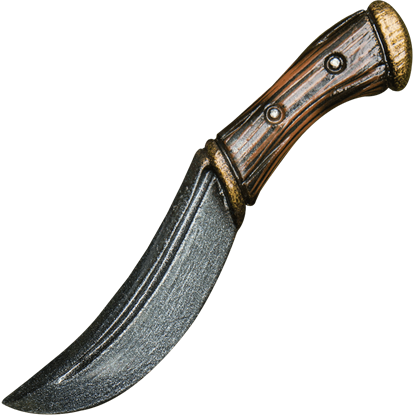 Whether you take the role of assassin or that of a barmaid, the LARP Throwing Knife Bootknife prepares you for surprise attacks. 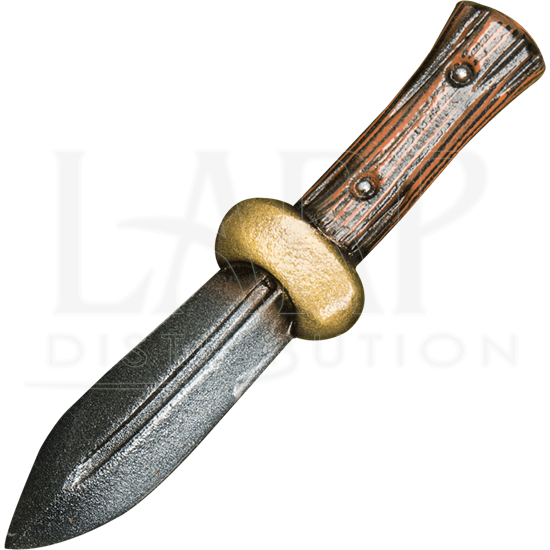 Crafted from closed cell foam and coated with latex, this throwing weapon features a double-edged blade with fuller, golden guard, and wooden handle. 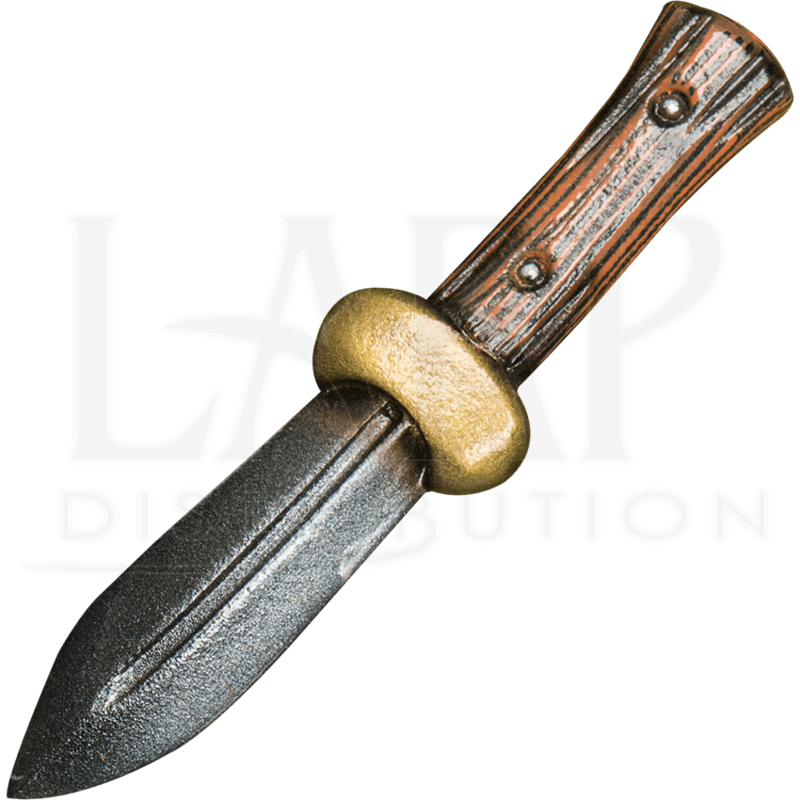 Our LARP Throwing Knives are great for those moments in battle when you just cannot get within a swords reach of your enemy. Never fear, you came prepared right? 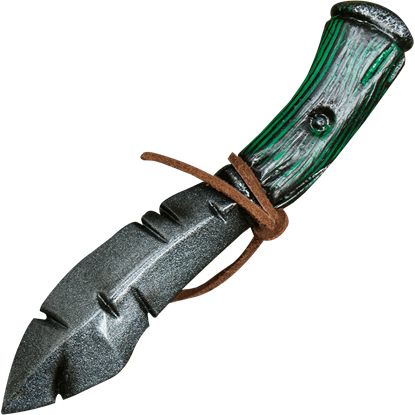 If not, you had better pick up a few of these handy throwing knives. They are inexpensive and come in handy when you need them the most. 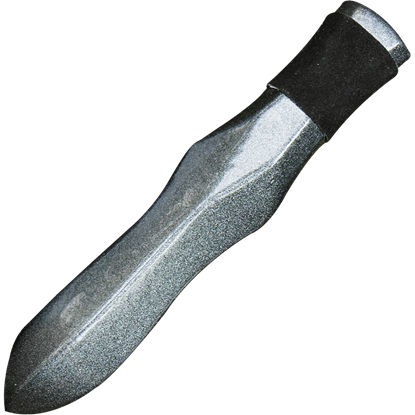 Our throwing weapons are a coreless weapon that are made from durable closed cell foam that does not shred and are heavily coated with silicone. Tap into your inner assassin and arm yourself with throwing weapons, your enemy will never see the attack coming!